How to Use Personal Task Feature Effectively? Home/Blog/How to Use Personal Task Feature Effectively? Have you ever scribbled something like this on a notepad and wondered later what you meant by that note? 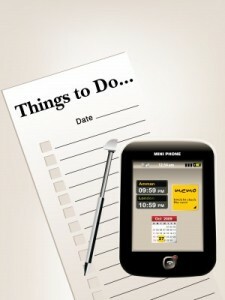 Most people have the habit of sticking hasty notes or making entries in diary planners about things to do. These notes are often unintelligible and they have a way to appear only after the deadline is long gone. This is where Docsvault’s Personal Task feature can help you. Your reminders can be as personal or as formal as you want, for e.g. follow up with so and so client about payment, check up on a trainee’s progress or order cake for son’s birthday. You can also set due date, reminders, priority and task recurrence pattern so that you can follow up on a task or chase a client effectively. 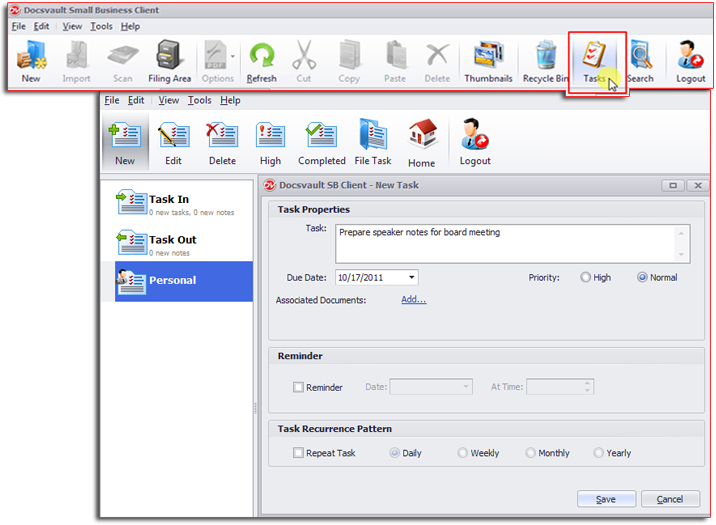 Now let’s see how you can use Docsvault’s personal task feature effectively. – Check on the reminder option; this way you can get a reminder at a specific hour. Also this way you will receive reminder even in your email. – Always mention proper details in the task properties. Don’t fill incomplete details like – Call client. So also, mention why you need to call the client, client’s name, his contact details and the purpose of calling. – Docsvault also allows you to attach documents to the personal task and reminder. It’s best to attach reference documents while assigning a task, so that when you call the client or do whatever task is at hand, you have all the details handy. – Make sure you select the repeat task option if it is an ongoing project. For instance if you want to check on a trainee’s progress every week or month, set that pattern in Task Recurrence Pattern. This will save you from setting a fresh reminder every week or month. Remember, it is better to spend a couple of minutes to set a well-defined task than to miss the deadline or struggle with an unintelligible note.